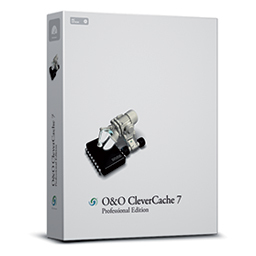 O&O CleverCache 7 reverses the inefficient memory management from Windows by giving you the control over memory resources for the file cache and for programs. It also prevents performance deficits in the server environment. O&O AutoSense Profile: The O&O AutoSense profile instructs each system to analyze the system‘s settings upon every startup. Whenever changes to the main memory are detected, O&O CleverCache 7 updates its settings accordingly, getting the most out of all hardware. Automatic profile change depending on running processes: With the new Version 7 it is now possible to automatically change to a certain profile as soon as specific processes are started or ended. Additionally, other processes can be started or ended automatically. O&O CleverCache can therefore, for example, when starting ensure that for a specific game, all resource-heavy processes such as anti-virus scanners are ended and then only started again once the user has finished playing – without the user having to do this manually.